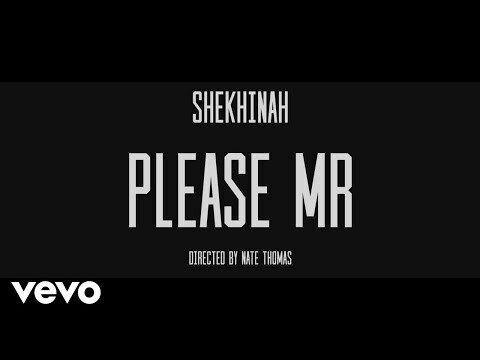 Due to popular fan demand, Sony Music sensational songbird, Shekhinah has now commissioned “Please Mr” as an official single. In a bid to further satisfy the yearnings of followers, she dropped a music video to match the steamy effort. Shekhinah Thandi Donnell created the buzz as a top 32 contestant of MNET’s Season 7 of SA Idols in 2011 and among the top 6 of Season 8 of SA Idols in 2012. Even though she did not win on both attempts, several of the judges and pundits including J’Something of award-winning group, Mi Casa, had specially pencilled her for great things in the world of music. Such was the rating Shekhinah pulled that she immediately got courted and signed to Sony Music and earned a world of collaborations with several top acts in the South African Nation and beyond. One of such collaborations – “Back To The Beach,” alongside Kyle Deutsch – earned the singer the Best Pop & Alternative award at the MTV Africa Awards in 2016. Then in the past year, 2017, Shekhinah unleashed her debut “Rose Gold” album which scored a record-breaking streak as well as gold status. Well, “Please Mr” made the cut as one of the finest pieces off that project of musical art and now the lifespan of the record is about to be extended with the abundance of choreography its music video packs. You can expect the stunning celestial vocals of Shekhinah, a superb delivery of her rendition, as well as some sick and slick moves you shouldn’t even try at home.